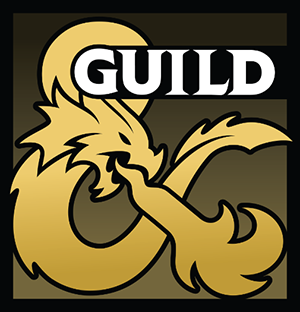 Just a quick update this week to let you know that Monsters of the Guild, an enormous collaboration of DMs Guild creators, is now available. One of my contributions to this bad boy is the werespider, which you may have seen before in my product Arachnids, Wraiths, and Zombies. The werespider has been updated and perfected in Monsters of the Guild and now includes some killer art! My other contribution is the hound archon, which you may have seen in my product Archons. Like the werespider, the hound archon has some new art! 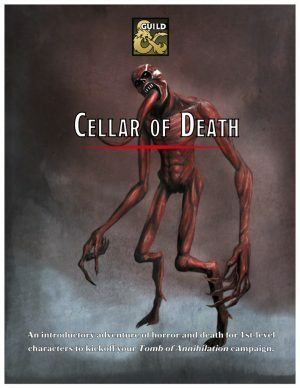 There’s over 100 monsters in this book from more than 40 creators on the DMs Guild. Some monsters are pulled from other product and others are originals made for this book. Huge thanks to Glen Cooper, JVC Parry, and Phil Beckwith for spearheading this thing. 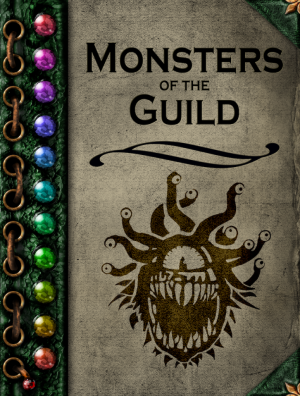 Perhaps the most exciting news is that Monsters of the Guild has opened the flood gates for more amazing collaborations coming to the guild. In the coming months look for Places of the Guild and Artifacts of the Guild among others. It is my hope and the community’s opinion that the number of creators and the diversity of our make-up continues to grow. Great things are happening and this is the first step. If you’re so inclined, check out the book in PDF or print! And if you want a preview that helps charity, behold Monsters without Borders! Designing new game material is rewarding yet difficult work. Building a background, feat, race, magic item, monster, or spell another player can use at the table takes more time and effort than asking that person to read a book of readymade, playtested options. Many fear new creations, since each has the potential to break the game if its power level is not considered and balanced against the rest of the options provided in the game. On the other hand, creating new material is a lot of fun! Every new creation presents unique stories and mechanics that help define your group’s narrative from all the others in the Dungeons & Dragons multiverse. I’m here to help you design new game mechanics. In each Design Workshop article I provide the tools you need to cook-up a new piece of fifth edition D&D content. This first article looks at the basics of designing something new for D&D and walks you through creating one of my favorite pieces of the game: backgrounds. Before you sit down to design any new content, backgrounds or otherwise, ask yourself the following questions. Have a clear idea in your head of what you want to create. Get the answer down to a single sentence like, “I want to create a background for a character who used to be an actual monster and then became a humanoid through magic.” Your answer to this question informs your answer to the questions that come next. Does My Creation Already Exist? 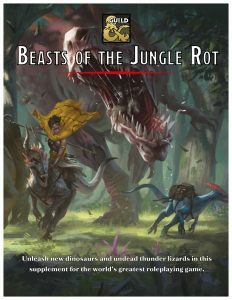 Take a moment and read through official D&D content (along with, if possible, popular third party content like the Tome of Beasts from Kobold Press). See if what you have in mind already exists. Reinventing an existing element of the game isn’t worth the time and effort. Official content receives more playtesting and scrutiny than something you can make on your own. With that in mind, if you feel the official version of a piece of content is lacking, consider tweaking it (see below) instead of rebuilding it from scratch. If a game element has the mechanics you want but the story isn’t right, change the story and keep the mechanics, a concept referred to as reskinning. For instance, if you’re interested in creating a planar traveler background, the far traveler background from the Sword Coast Adventurer’s Guide has many of the details you already require. Even though far traveler is meant for a character that travels far on a single Material Plane (specifically Faerûn), rather than traveling several planes, the mechanical pieces of the far traveler–skill proficiencies, tool proficiencies, language option, equipment, All Eyes on You feature, personality traits, ideals, bonds, and flaws–work with either concept. In this case it’s easier to reskin the far traveler, change its story and keep its mechanics the same, rather than build a new background from the ground up. If you find something has most the mechanics you want, but a few things seem out of place, simply change what you don’t like. For instance, you may want to create a character who was a pickpocket. The criminal background fits this concept, but it makes more sense for the pickpocket character to gain proficiency in the Sleight of Hand skill than the Deception skill from the background. Swap those skill proficiencies and keep everything else the same. That’s much easier than creating an entire custom pickpocket background. You may find in some cases you want to reskin and tweak some content. Looking back at the planar traveler background adapted from the far traveler. It makes more sense for a character who travels the harsh environments of the multiverse to gain proficiency in the Survival skill rather than the Insight skill. With the monster background, it’s clear there isn’t official content we can reskin or tweak to get what I want, so I built it from scratch. To help drive home the general Nature of your background, you can ask questions intended for the player to answer. Our monster background asks several questions in its opening paragraph that help an interested player form a story about their character’s past. While your description of the background should be general, you can provide some examples of specific stories that fit into your background. Get as specific as you like with these ideas and make them ones that excite you. If you think they are fun to play, then someone else reading your background also will. The final detail you should add to this section is a reason why a character who has this background might leave it behind for a life of adventure. Provide some story details that help a player understand how this background can be tied to a life of dungeon delving and dragonslaying. You are a dragon who was permanently polymorphed, a vampire who was raised from the dead, a cured lycanthrope, or some other monster who has had their form changed into a living humanoid. Years of your life were spent as a being that haunts the nightmares of many. What were you? What terrible deeds did you commit? What magic transformed you into your new form? When your physical form changed, so did your mind. You appreciate and perhaps even embrace the culture, laws, and customs of your new form, but not without growing pains. Learning to live as something else is a struggle, even if your mind is committed to the task. Memories, enemies, and lost friends from your old life haunt you. As a person who walks between two worlds, the restless life of adventure might be the only that feels comfortable for it allows you to unleash your past savagery while retaining your new heart. Every background gets two skill proficiencies. Despite what many optimization forums say, all skills are considered equal. Any two that make sense for the background’s story are fine choices. 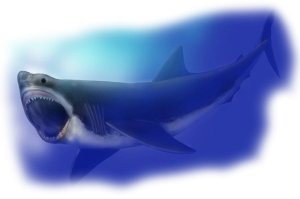 For the monster background I chose Intimidation, since monsters are scary and a character with this background could retain some of that presence, and Survival, since monsters live in the wilderness and fend for themselves. Every background gets two tool proficiencies, two languages, or one tool proficiency and one language. All tool proficiencies and language selections are equal. For the monster background I’m going to grant two new languages, since many monsters speak a language, but only a few use tools and the tools they use vary. Almost all backgrounds grant at least four pieces of starting equipment: a set of clothes, a piece of practical equipment, a unique item that’s background specific, and a belt pouch containing gold pieces. The set of clothes and the practical gear can come from the “Adventuring Gear” section in chapter 5, “Equipment,” of the Basic Rules and the Player’s Handbook. You aren’t limited to one piece of practical gear, but as a guideline don’t give a background more than three. The clothes and equipment should match the background (e.g. the criminal’s crowbar or the noble’s signet ring). The monster background comes with a set of common clothes (nothing about the monster’s past indicates the character should have anything different) and 10 feet of chain (that was used to bind the the character during their transformation). The background specific item should be inspired by the background’s story. For instance, the soldier has a trophy taken from a fallen enemy. The monster background has a sketch of the character’s old monster form. The number of gold pieces your background grants should be a multiple of 5 between 5 and 25. This number should represent the character’s starting financial status in the world. For instance, the hermit background starts with 5 gp, the soldier starts with 10 gp, the entertainer starts with 15 gp, and the noble starts with 25 gp. Characters with the monster background start with 5 gp, since the character left the old lair (and the treasure in it) behind to start a new life. Since backgrounds are broad, many provide tables that help a player get more specific with their character’s story. For instance, criminal background has the Criminal Specialty table that helps determine the specific kind of illegal activity the character performed. The monster background has the Monster Type table that helps determine what type of monster the character was before they transformed. You have a reputation for being a little odd, almost as if you’re uncomfortable in your own skin and around people. Whenever you act in a way that is strange or taboo, but not intentionally offensive, dangerous, or against the law, people tend to ignore you. This lets you get away with strange behavior like showing up at parties you weren’t invited to, pushing through a crowd to shake a noble’s hand, eating food off of someone else’s plate, or taking a nap in a public place. Most people brush you off as weird, but harmless. Though your violent memories are similar to those who were once monsters, your circumstances are even more bizarre. You were once an intelligent magic weapon, wielded by legendary figures to slay countless others. Now, you’re a humanoid, transformed by magic. Your previous wielders could be heroes, villains, or a mix of both. For the first time you’re in control of your own. This new independence is strange but exciting! 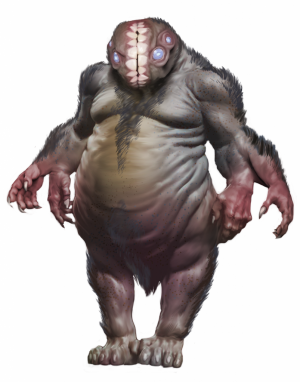 If your previous monster form was intelligent and capable of communicating, you can pick this variant feature instead of A Little Off. You have a monstrous friend of the same species you once were. This monster is able to trade secret messages with you through a system you devised together. Your friend is a reliable source of information for rumors and other rumblings they have heard. As a person who was once something else, you are never truly at peace. You’re not used to your new form or home and your old lair doesn’t suit the new you. Former monsters are restless and many use their old bloodlust to defend those they would have once devoured from threats that are all too familiar. Even those who accept their new place know deep inside them is violence waiting for release. Create a list of eight possible personality traits for your background. “Personal Characteristics” in chapter 4, “Personality and Background,” of the Basic Rules and the Player’s Handbook gives advice on designing personality traits. These elements describe a character with this background’s preferences, mannerisms, fears, and attitude. Since a person could roll randomly twice on your background’s Personality Traits table, make sure you don’t provide any contradicting personality traits. 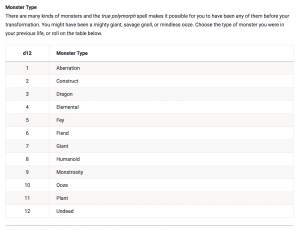 The following table shows the monster background personality traits. Just like personality traits, follow the guidelines in chapter 4, “Personality and Background,” of the Player’s Handbook to create your background’s six ideals, six bonds, and six flaws. Unlike personality traits, you can have contradictory statements in these lists, since a character only selects one from a table. 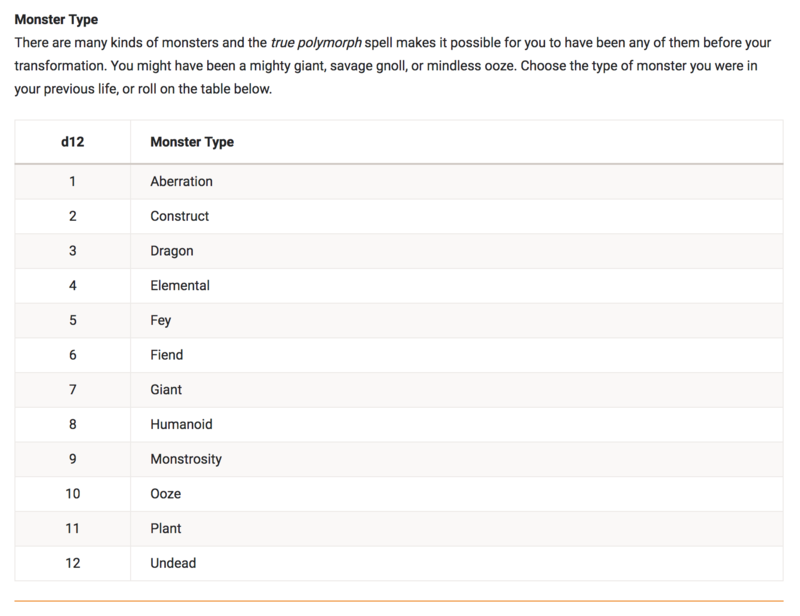 The following tables show the monster background’s ideals, bonds, and flaws. Now that you’ve created your background, give it a once over. Read it out loud and edit as you go. Even the most experienced designers make typos, use too many words, and need to edit their work. Once that’s done, send your work to a friend to make comments. A second pair of eyes helps you understand if the design intent of your background is coming through. If you have the opportunity to playtest your new background, take it! Nothing is a better test of your design work than actually seeing it in action. Plus it’s a great excuse to get friends together for a game of D&D! If you can, give your background to someone else to use during the playtest, again to see if the design intent of your background comes through. Change anything you think needs it after playtesting. It’s time to make your work public! That means sharing the background with your group, posting it to a blog, putting it up for sale on the DMs Guild, or on D&D Beyond. You can find the final version of the monster background here. There you have it! A step-by-step process for creating a D&D background. I can’t wait to see what you create. Please share with me on Twitter @JamesIntrocaso or in the comments below. Next week, I’ll show you how to make a new feat! 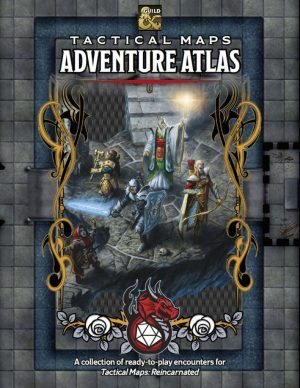 Recently I’ve been out some new products on the DMs Guild as part of the DMs Guild Adepts program and folks have been asking me where I got my art for these adventures and supplements. Good art is hard to find and hiring an artist to make something from scratch is expensive. If you’re not careful, you won’t make back the money you spend on art if you’re self-publishing your products just by going custom with a few pieces of art! On the other hand, a product without art can feel amateur or incomplete. What’s a creator to do? There are options out there and I’m here to share them with you. Where can you find great art for your RPG products? Take a look below. There’s a lot of public domain art on the internet. 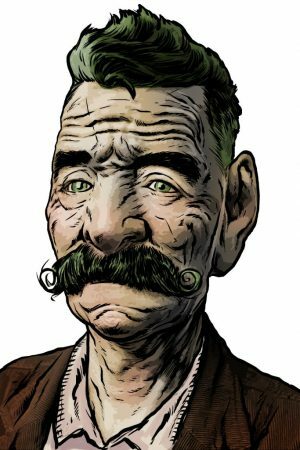 Many of my early Pay What You Want products on the DMs Guild use the British Library’s collection of public domain images. These images are great because in general they cost you nothing and you usually don’t have to credit anyone when you share them. The problem with these images is that they’re often dated and never exactly what you want. People can often tell when you use public domain art. It’s just one step above having no art at all. For a great list of sites offering public domain art, check out this blog post from The Art League. If you have no money to spend, search Creative Commons. When you search, you can filter to make sure the images you find are available for commercial use and that you’re allowed to modify or change the image. Their various licenses are easy to understand and there’s a lot of great artists sharing their work through Creative Commons. You may still have a difficult time finding exactly what you want (especially if what you want is a specific fantasy or science fiction image), but if you’ve got plenty of free time to search in place of spending any money, this is a great way to go. Several of the dinosaur images in Beasts of the Jungle Rot came from searching Wikimedia via Creative Commons. There are some great creators out there who offer commercial use of the art for free, like the awesome cartographer Dyson Logos. One of his maps actually appears in my adventure Cellar of Death. The folks who make these things and give them out for free are incredible individuals. While not everyone’s collective is as extensive as Dyson’s, definitely see if you can find others offering art for commercial use for free. Be sure to support these creators by crediting them, linking to their site, and buying some of their products or contributing to them on Patreon if you can. The Game Crafter has a great list of places to find art like this. DriveThruRPG is filled with publisher resources that include illustrations, maps, and more. The art ranges from free to beautiful full covers and stock art packs for more than $100. Be sure to check the rights before you spend money on art to make sure you can use it for your project. 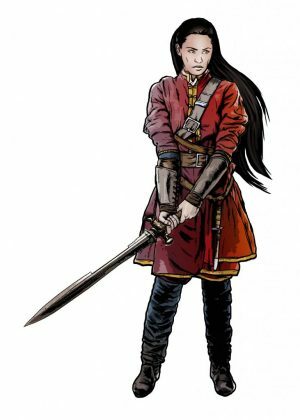 The DMs Guild has free creator resource art and map packs provided by Wizards of the Coast. This art can only be used for commercial products released on the DMs Guild, not other places. You can see a lot it in Encounters in Port Nyanzaru. Sites like Shutterstock, Getty Images, Pond5, and iStock actually have an impressive array of illustrations you can pay to use in commercial products. They look great, but are quite costly (though still usually less than a custom piece of art). Several Shutterstock images appear in Beasts of the Jungle Rot. Let’s talk about rights. Before you invest any money in art, make sure you can use what you’re buying. Here are a few questions to ask before purchasing stock are or making a deal with an artist. Can I use this image for commercial purposes? Make sure the answer is yes before you put any piece of art in a product you plan to sell. The words “commercial use” should appear in the license. Is this image royalty free? Make sure the answer to this is yes as well, unless you are comfortable giving the artist a percentage of your sales. “Royalty free” should appear somewhere on the license. In what types of products can the art be used? Some art can only be used in PDFs and not in print, or can be used in print for an extra fee. Make sure the license matches what you want to do with the image. Can it be modified? If you plan on changing the art (maybe by resizing it, cropping it, or removing the background) make sure the license allows for that. How many times can I use this art? Sometimes when you purchase a piece of art you can only use it in one product once. If you want to use it in other products you have to buy it again. Check the license to see if this is the case. How do I credit the artist? The license should specify how to credit the artist in your product. Make sure you give credit where credit is due! Even art you get for free often requires you credit the artist, so be sure to do that! Where do you go to get great art for RPG products? Tell me your favorites in the comments! I have a lot of cool stuff coming out soon. Over the next year, I’ll be shouting out projects big and small, some of which have been in the works since 2015. I remember how excited I was to get my first gig with a publisher years ago and wanted to pass along some of the knowledge I’ve gained in the time since. The RPG industry is full of consumers who are creators of game content, simply based on the creative nature of the games. This creative spirit plus the joy of gaming leads many to dream of and perhaps even pursue at least a part-time career in writing RPG content. If you’re interested in working in the industry, let me share with you what I’ve learned, so you can go into your first published product with a little more than no knowledge. This is the first thing you should know. I have yet to find a creator who doesn’t agree (and if you have made lots of money in RPGs, please tell me how). Some things probably seem like a lot of work from the get-go. For instance, writing a new RPG system takes a lot of time and effort. But what about smaller supplements like an article about a new Dungeons & Dragons race in EN5ider or a one-shot adventure for the D&D Adventurers League? Those are going to take a lot of time too. Just take amazing designer Teos Abadia’s word for it. Writing an adventure or supplement for pay takes longer than writing something for your home group, even if you’re the kind of DM who scripts every conceivable option they players have. The product you create needs to be read, understood, and interpreted by consumers, not just you. Its writing needs to follow a specific industry standard style, have typos removed, and fit into a specific word count. You won’t just be writing a product. You’ll be editing and rewriting it. You’ll be playtesting it, you’ll be researching it, you’ll be outlining it, and more. All this work is for a product that you’ll make $0.03 a word on if you’re lucky. If that sounds like too much work for too little reward to you, know that you’re right. There are lots of reasons the industry is that way, but that’s another post (and a podcast). It’s fine if you just want to design for your home group. Do design for pay only if it also makes you happy to share your work with the world. When you get that first job, have the time to do some hard work in your schedule. I recommend having at least 5 hours free per 1,000 words you’re writing between the date you sign your first contract and the deadline for your project. If you stick with paid design work, you’ll get faster, but if this is your first one, give yourself enough time. So you landed the gig! Maybe you wrote a killer pitch or have some self-published work on DriveThruRPG or a blog that got noticed by a publisher. Maybe you made a publisher friend at a convention who is willing to take a chance on you. The first thing to do is take a look at examples of the publisher’s work. Writing a Pathfinder adventure for Kobold Press? 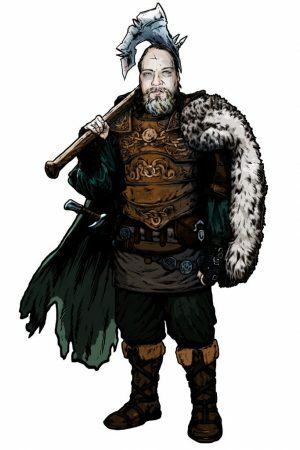 Take a look at their previous Pathfinder adventures. If you don’t own any of that publisher’s products, ask them to send you a copy or two once you’re contracted. I’m sure they’d be happy to do so! 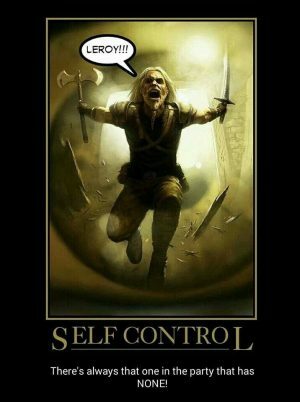 It’s one of the few perks of being an RPG designer and it seriously helps. When you’re reading the sample work, note how the product is laid out, where headings are, what stat blocks look like, etc. This will save you a lot of headache in the long run. Don’t memorize every detail of the product! You own it and have it for future reference. If you’re writing a product that takes place in an existing world, like the Forgotten Realms or Midgard, take some time to learn about that world, especially the places, characters, and events to which your product pertains. If you’re putting out an original product, do some research to see what already exists as far as similar products go (and read those too) and run a quick search on the product’s title to see if anything out there is similarly named. If you’re a new designer, you may not possess the chops or skills of a veteran but you do have the ability to hit your deadlines, which for many publishers is just as or more important than your talent. As the designer, there are many other people’s work and income that depends on you being on time. Turning in a draft late means you’re holding up the editing, art, layout, print, and sale of the product. A lot of people start an RPG product, realize how much work it is, and then never finish. Rather than owning up to this, some ghost their employers, leaving the publisher in a frustrated state with lots of questions that hold up other people’s livelihoods. If you are going to be late with a draft or you find you are unable to complete a project, let the publisher know as soon as you know. When it comes to deadlines, treat others as you would want to be treated. When it comes to all things, treat others as you would want to be treated. As a new designer, you might require a little more guidance from editors and the publisher, but if you take their feedback with gusto and make every change requested, that is worth a lot more than someone with a lot of talent and experience who gripes about every change (and misses every deadline). Be polite. Have as much fun with the project as possible. Let your enthusiasm for your work show. Publishers love working with happy designers that are good, constructive collaborators. Before you dive into writing your product, ask your publisher if they have a style guide and template for you to use. The style guide will give you the dos and don’ts of writing for that publisher. (e.g. Do always capitalize abilities like Intelligence and Wisdom. Don’t refer to ability checks as “skill checks.”) When you get the style guide, read it and refer to it often. Many publishers also have a template, which is usually a Word document with a bunch of ready to use headings, fonts, and other styles. Use it. Templates help the publisher figure out what your words will look like on the page before layout, as thy approximate each publisher’s style. Using a template makes everyone’s life easier who has to work with your words after you’ve turned them over. If you have questions that aren’t covered in the style guide or research phases of your design, ask the publisher. Better to ask a question you don’t know the answer to than guess. A guess, even an informed one, could be wrong and have ripple effects that mean you’ll need to revise the entire project later. If you need an answer and can’t continue working until you get it, make sure the publisher knows that when you email/text/Slack them, so they can prioritize getting you an answer over the other million tasks they have. If you’re writing and you find yourself thinking, “Ah, I’ll make this up instead of looking it up,” or, “I’m not sure what the style guide says about this, but rather than take 30 seconds to open the document, I’ll just guess,” avoid those thoughts! Always better to look stuff up while you’re writing. Do this and as you write more, you’ll have fewer questions. This goes with “Don’t be a Lazy Writer.” Make sure you’re editing your work before you send it to an editor. Typos and grammatical mistakes should be removed, but also make your writing stronger. Kill passive voice. Eliminate adverbs. Cut the fat and rework sections that make no sense. Reorder information! Do whatever you can to make your first draft the best it can be. For your first job, ask someone you trust to check your work. Even if you’re sure it’s perfect, another set of eyes can catch things that are missing or assumptions you’ve made that leave the reader saying, “What?” You may not need someone to check every single draft, but for your first project and first draft, ask a friend to check it out. 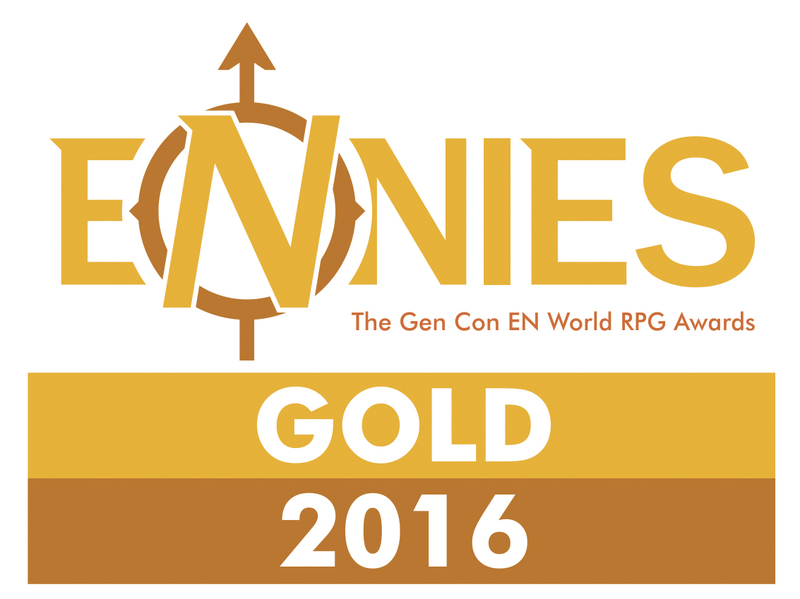 As designer Dan Dillon says, “Playtesting is worth its weight in gold.” He’s right. When you actually play with your new rules or story, you see them in action and find out where your mechanical mistakes are. “Oops! This encounter is clearly too hard,” and “Oh! This new spell combined with this other existing spell makes you invincible,” are errors that can sometimes only be learned through playtesting. If you can have someone else run it and give you a detailed playtest report, that’s even better. It has all the benefits of playtesting something yourself along with a person who doesn’t have any of your assumptions using the product. Finally, deliver what is agreed upon! If you’re contracted to write a 5,000-word adventure that takes place on the Sword Coast of the Forgotten Realms and has a lich villain, don’t turn in a 15,000-word adventure that takes place in Eberron and has a dragon villain. That’s an extreme example, but if you’re word count is much greater or smaller than contracted, that creates a problem (especially if you’re writing a print product). If your idea changes or your need more words, write to your publisher as soon as you realize it and see what can be done. They’re paying you for something specific, so make sure that’s what you deliver to them.